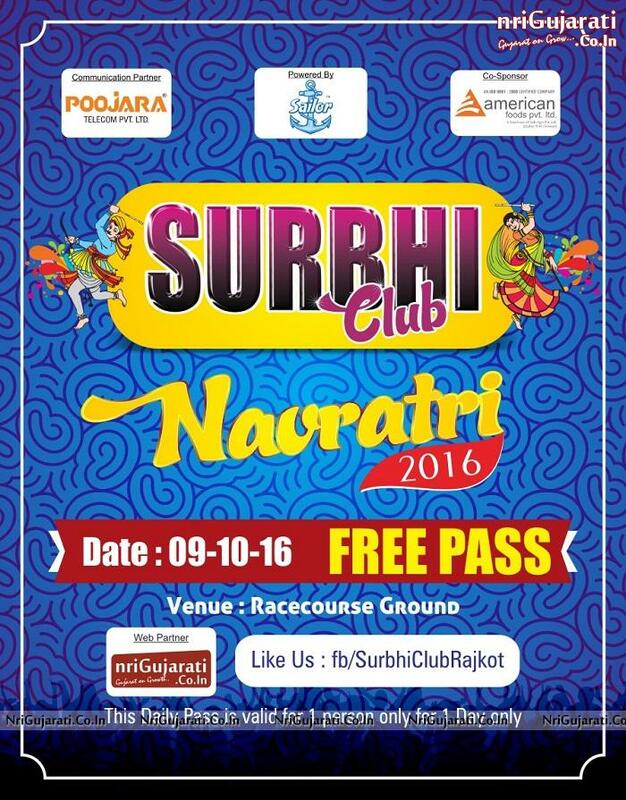 Surbhi Navratri in Rajkot is known as very famous urban Dandiya Raas Event in the city. From more than 6 Years, SURBHI Group used to organize different events Like 31st Party, Fashion Show, New Year Party, Navratri Dandiya Event through the year. 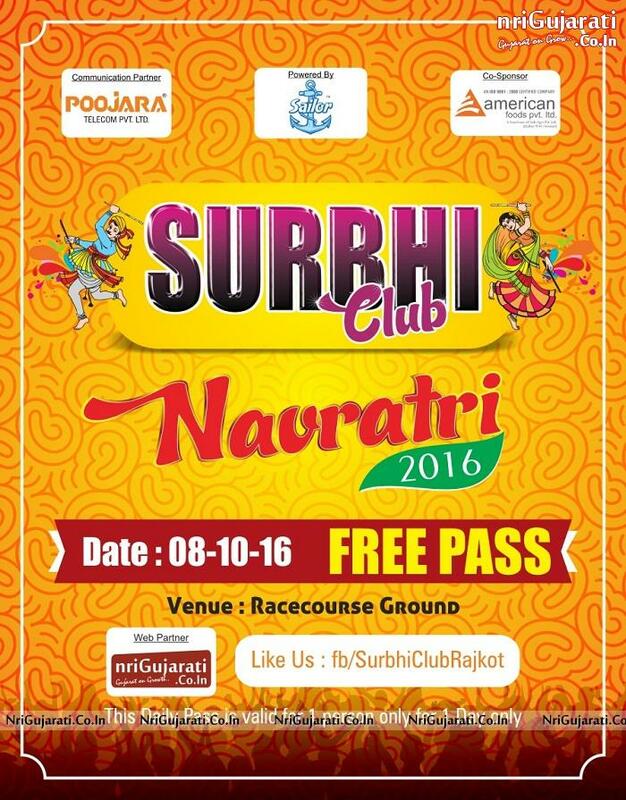 From all events of Surbhi Club Rajkot, NAVRATRI RAASOTSAV is one of the biggest. Every Year Surbhi Disco Dandiya Management Team presents Unique Theme in Ground to attract "Garba Players" and "Dandiya Raas Viewers" from Rajkot and all over Saurashtra region. 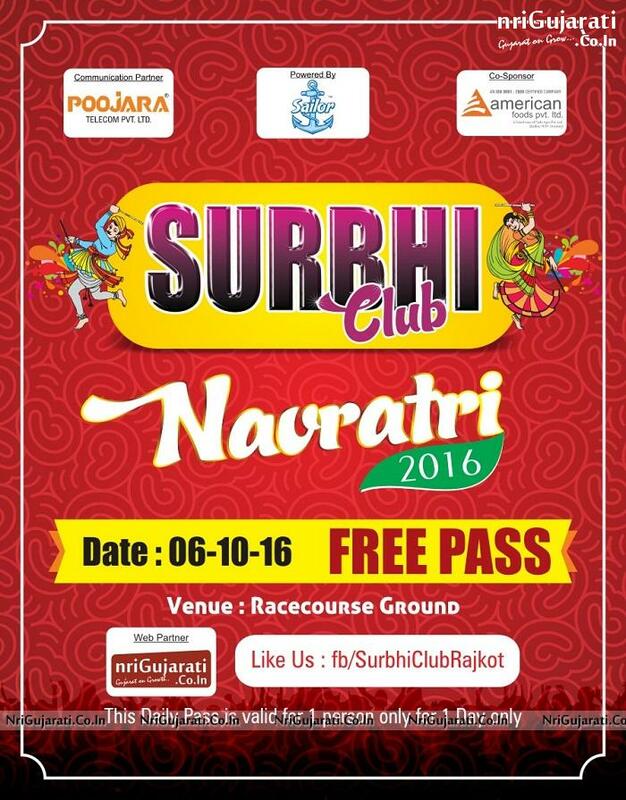 Surbhi Navratri will be held at Race Course Ground Rajkot like every year. Since last 2 year, Special Attraction in Surbhi Garba is GAZIBO Theme. At all corner there are GAZIBOs with beautiful sofa set to watch LIVE Garba with Full Family.